We are excited to host the following workshops as part of the EvoKE 2019! In this workshop we will discuss what makes a good press release, and the participants will write their own press release. Philosophical backgrouds and grammar itself generate misconceptions in evolution, even among scientists. The workshop will discuss misconceptions in scientists, and compare them with misconceptions in the non-specialized professionals and public. A debate about the pros and cons of the use of metaphors in evolutionary sciences will be opened. This workshop will help the participants find funny angles on their research. They will learn how to add some humor to their talks (and writing) without losing the main message. It will become clear that you should not try to be funny. Good jokes come naturally and are often hidden in your research. Just talking about your work can already reveal unexpected jokes. SW4 – Shaping science policy- where do we start? When is it suitable to engage with science policy? How and where do we start? What role is there for evolutionary biology to influence policy? In the EvoKE network we are starting to think about these questions. By participating in this workshop participants will gain a glimpse of the science policy landscape and take the first steps towards formulating policy questions with an evolutionary slant. In this time you can actively contribute to shape our future policy actions. Organisers: Kristin Jenkins, Xana Sá Pinto, Louise Mead, Bento Cavadas. 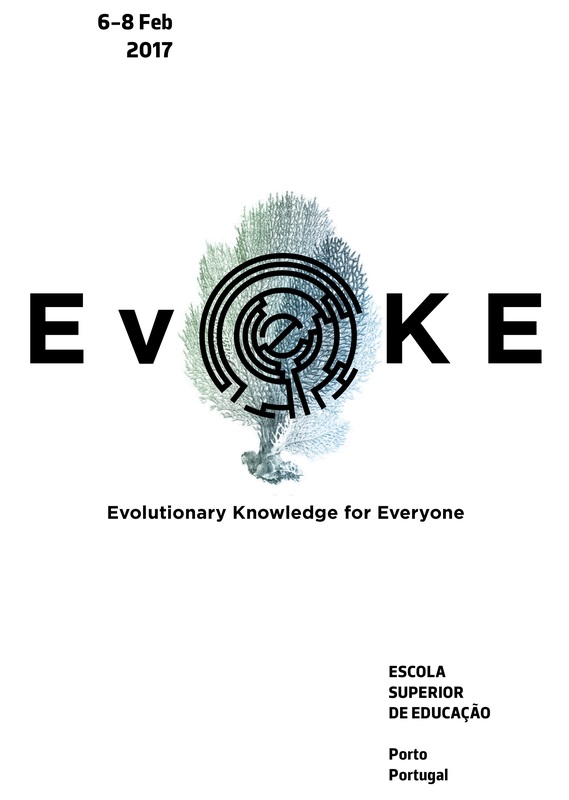 JOIN US at the EvoKE SEEDS workshop to identify, curate and publish educational activities targeting students from distinct grades, to be used as seeds to sow evolution literacy across Europe. The participants will identify and apply a visual method (e.g. photovoice or photo-elicitation) using the event itself and will utilize the content analysis technique to analyze the photographs taken. During this workshop, you’ll learn how to create stories and tell them to an audience. How to help the others build their own. How to use your imagination and your sensitive memories to remember the stories. How to engage the audience with your own images, voice and body. How important the group and the community is to do so. A workshop for enthusiastic scientists to get their messages across in a totally novel way, taking inspiration from politics, street art and marketing. Together, participants will learn search analytics, tips on producing fresh content to hook their desired audience, and will work to create a poster board of ideas that are ready to take to the streets.